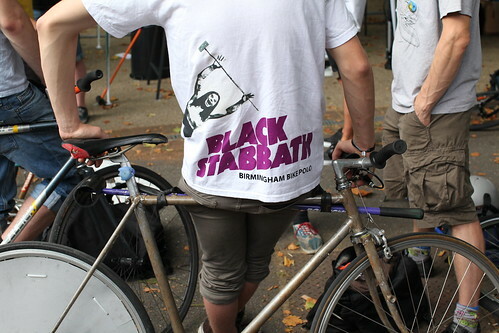 Team Black Stabbath | Birmingham Hardcourt Bike Polo, UK. 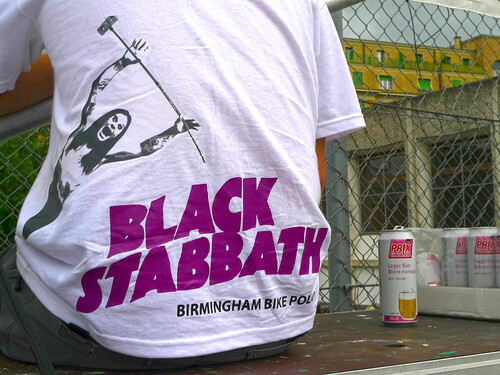 Awesome t-shirts. 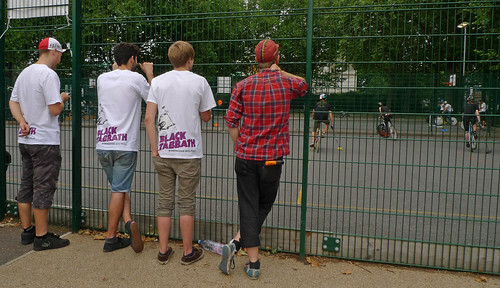 These photos of Black Stabbath at the First London Open Hardcourt Bike Polo Tournament were spotted on flickr. Check the awesome Highlights video Dan posted earlier. 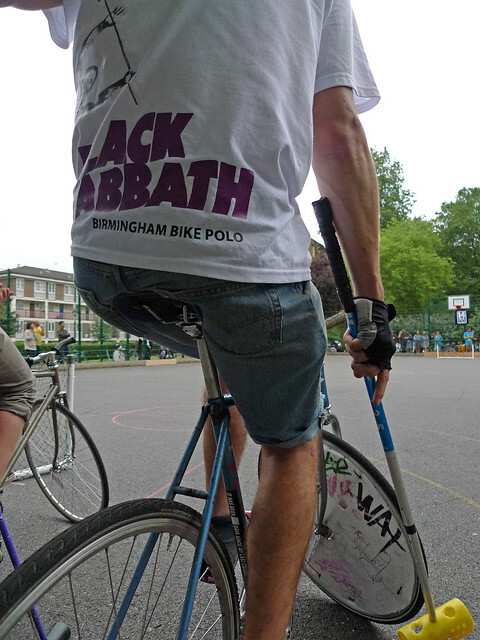 This entry was posted in Birmingham Bike Polo and tagged bicycle, bicycle polo, bike polo, birmingham, birmingham bike polo, birmingham bike polo team. Bookmark the permalink. T-Shirt credits go to Dan Jackson. Excellent job with minimum fuss. I’d use him again.